There were varying results for all 3 of Sporting’s sides on Wednesday: the U19s beat Maribor, the B team lost to Chaves and the first team threw it away against Maribor. Sporting contrived to throw away two points in Slovenia after a defensive calamity allowed Maribor to equalise in the final seconds of the game upon their Champions League return. The Lisbon club had taken the lead in the 80th minute when Nani struck superbly to grab his first goal since returning to the club. That goal was cancelled out when Naby Sarr and Maurício both produced awful clearances leaving 18-year old Luka Zahović to equalise for Maribor. Sporting may have been 5 years without Champions League football but their opponents for the night, Maribor, have been out of the competition for a full 15 years. Only Adrien, Diego Capel and Nani were not making their Champions League debuts. Marco Silva made just one change from the team that disappointed at the Alvalade against Belenenses in the last game, Cédric Soares returning to his right-back slot at the expense of the capable back-up, Ricardo Esgaio. Sporting had the better of the opening stages of the half but it was Maribor who had the better of the chances, Agim Ibraimi finding too much space and forcing a decent save out of Rui Patrício. The best moment of the first-half for Sporting came in the 28th minute when André Carrillo, Sporting’s best player so far this season, played a fantastic one-two with Islam Slimani before hitting his effort straight at goalkeeper Jasmin Handović. The Peruvian picked up the rebound and curled a superb shot onto the bar. From that point on came Maribor’s best stint of the game in which they created plenty of opportunities. Marcos Tavares had a decent opportunity when he found space to head the ball but his attempt was straight at Patrício. The home side’s best chance of the half though fell to defender Aleksander Rajčević. The defender’s header struck Patrício’s post with the goalkeeper well beaten. Marco Silva made one change at half-time with the ineffectual André Martins taken off and João Mário on to replace him. The change balanced Sporting’s play and soon they were on top again. Nani picking out a great cross for Islam Slimani, but the Algerian’s header was straight at the goalkeeper. Despite Sporting’s better control of the second half their defence was shaky. Tavares had another great opportunity but Cédric Soares’ block was essential. Nani grew into the game and had a decent chance in the 64th minute but Handović was there to stop him. There was nothing the goalkeeper could do about Nani’s eventual goal in the 80th minute. The winger did well to find space for himself to shoot from outside the box and drilled an effort low into the bottom right corner. It looked like Sporting were going to kick off their Champions League place with a win but calamity struck in the 2nd minute of stoppage time. Naby Sarr headed a loose clearance that Maurício tried to boot clear, but only succeeded in shanking the ball horribly towards his own net, placing it perfectly for the Portugal-born Luka Zahović to head past Rui Patrício and give Maribor a well-earned point. This 5th draw in 6 games for Marco Silva and is a cause for concern. Defensive errors are becoming too frequent with the current centre-back partnership and it may not be long before there is a change at the back. Although Sporting may have thought it unlikely to get out of the group stages this really makes it an uphill struggle. Realistically, Sporting will need to get something out of Schalke and Chelsea now to go through to the knock-out stages, otherwise the Europa League will beckon. Francisco Barão’s Sporting B were 2-0 down after just 7 minutes gone in their game away to Chaves. Luís Pinto had opened the scoring after just 5 minutes before shortly afterwards Arnold Issoko doubled the home side’s lead. Sporting managed to pull one back just after the half-hour mark through the returning Salim Cissé. Chaves scored a crucial 3rd goal in the 63rd minute through Hugo Santos. After that Sporting B threw everything they could at Chaves but only managed to get one more goal, Francisco Geraldes getting Sporting’s 2nd in the 79th minute. And finally some good news, Sporting’s U19 side won 3-1 away to Maribor as they took part in their first ever UEFA Youth League. Sporting had the better of the game through out and took the lead through a penalty converted by José Postiga. José Lima’s youngsters found it difficult to make further headway until an exciting end to the game. José Correia doubled Sporting’s advantage on the 76th minute but that didn’t last long at all when Nik Lorbek pulled one back for the home side. That made it a very nervy finish for Sporting but Luís Elói managed to make the game certain in stoppage time to provide an excellent start Sporting’s UEFA Youth League campaign. 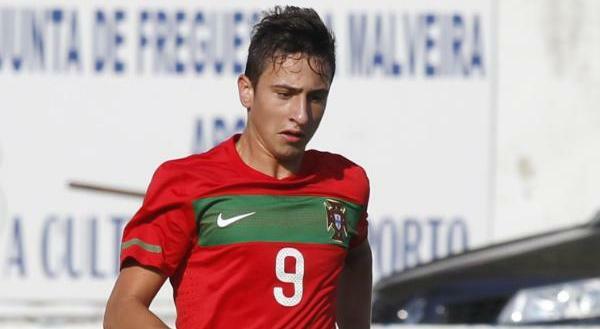 Five Sporting players have been called up to Hélio Sousa’s Portugal U19 training camp squad. The players set to go to Lousada are goalkeeper Vladimir Stojković, defenders Bruno Wilson, João Serrano and Ivanildo Fernandes and finally striker José Postiga. The Portugal U-18 squad will be playing two friendly games against the Poland U-18 team on December 3rd and 5th. Edgar Borges selection includes 4 Sporting youngsters. The selected Sporting youth players are: Bernardo Carlos, Bruno Wilson, João Serrano, and José Postiga. The games will be played at the Estádio Municipal de Vendas Novas in Vendas Novas, Évora. Sporting’s youngsters are again showing their value to the national teams with many selected in the upcoming U20 and U18 squads. There aren’t any fixtures to be played, with the international break finished, but the squads will be doing training sessions in preparation of upcoming games next year. Ilído Vale’s U20 side will be training on the 29th and 30th of October and features several Sporting players – Rúben Semedo, Tobias Figueiredo, Filipe Chaby, Edelino Ié, Iuri Medeiros, Carlos Mané and Alexandre Guedes. Meanwhile Edgar Borges’ U18, who will be doing their sessions on the 28th and 30th October, features Bernardo Carlos, Bruno Wilson, João Serrano and José Postiga.